Dentistry is a medical biology which deals with the anatomy and study of the teeth and other oral structures. It is not only confined to the teeth but is also associated with other parts of the mouth. It basically involves the diagnosis, treatment, and prevention of any disease or disorders of the mouth. Thus any practice that involves the oral cavity is dentistry. Dentistry is like a tree that encompasses a huge segment of the study. It has branches, which are the specializations. Dental Implants are one such branch of dentistry. A dentist has to gain specialization in dental implant surgery with further studies in order to excel in the work of dental implants for tooth loss treatment. A dental implant or fixture is a material which is mainly used in the oral cavity that is fixed with the bone of the jaw or the skull in order to fix a dental prosthesis, that is any intraoral defect in the oral cavity. The dental prosthesis may be of the Crown, root, Bridge, Denture or facial prosthesis. The entire procedure of a dental implant surgery is a difficult as well as a delicate and challenging task to be carried out and the success or failure of the process totally depends on the response of the concerned patient to the surgical procedure and the drugs and medicines prescribed to the patient to be taken after the implant. A dental implant is basically done with an idea of osseointegration, which is the activity of establishing a connection between the bone and an artificial implant. After the connection or fixture is established, it is important to provide sufficient healing time for osseointegration to take place. A few years back, dentistry was not a developed as it is now. The science did not encourage the act of dental implant then. However, with the advancement of technology in medical science, it is convenient to provide dental implants with ease. In fact, the replacement of lost natural teeth with such artificial fixtures has been proved to be one of the greatest advancement in dentistry. 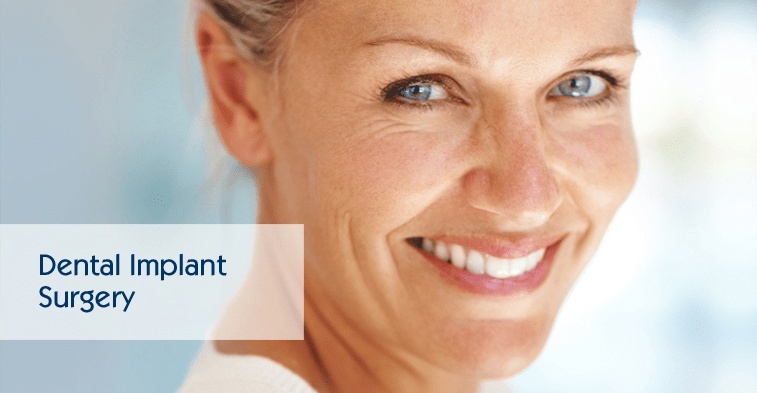 What are the benefits of carrying out dental implants? Dental implants give strength and support to the teeth and denture and it is a long-term benefit - Additional support can be provided to the teeth or artificial fixtures, especially during the activities of mastication. Improper chewing can lead to many associated health problems and hence the problem needs to be kept in check. Establishing dental implants serves to protect and preserve bones - Loss of tooth may lead to the loss of bone density in that particular area due to lack of stimulation to maintain the form and integrity of the teeth. Thus, if the procedure of implant is not done properly, there may be the loss of bone and other related discrepancies in the oral cavity. Dental implants do not have the risk of getting eroded by cavities or any other foreign objects- Reports and studies show that at old age, due to denture problems and tooth loss, there are many dental disorders like caries that may be noticed. Implants may help to get rid of such diseases.